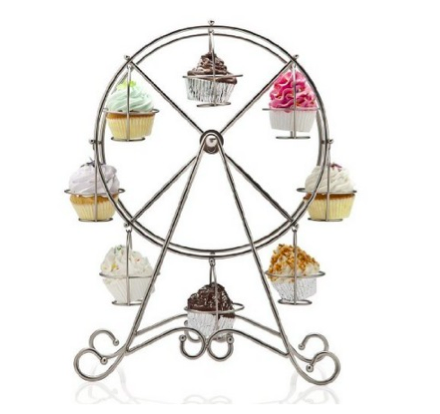 8-Cup Metal Rotating Ferris Wheel Cupcake Holder Only $8.95 (Reg. $24.99)! You are here: Home / Great Deals / Amazon Deals / 8-Cup Metal Rotating Ferris Wheel Cupcake Holder Only $8.95 (Reg. $24.99)! Your guests (or kids!) 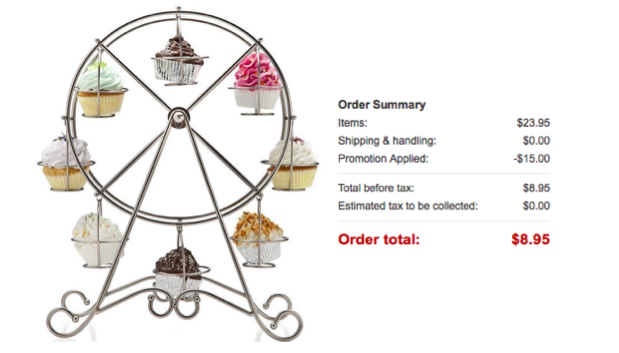 will absolutely love this cute 8-Cup Metal Rotating Ferris Wheel Cupcake Holder, which you can get for only $8.95 (Reg. $24.99)! Just use coupon code 4JII5BQR when you go to check out!